A drainage system wouldn’t be complete without the fittings you need to need to make tight connections. Luckily Timewell has all the single wall fittings you need for drainage system hookups and more. For a more complete listing of single wall fittings, sizes and quantities, download our product catalog or contact your local territory sales manager. 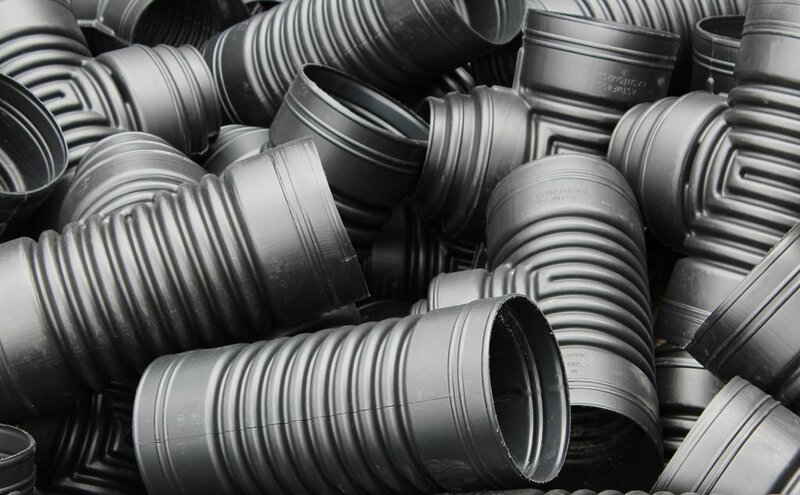 Timewell offers a full line of single wall HDPE adapters and reducers, ranging from downspout adaptors to single wall reducers in a variety of diameters. Internal and external snap couplers are available for HDPE single wall pipe. Timewell also offers external split couplers. Looking for tees? Timewell has just about any type of tee you can imagine. Straight tile tees, reducing tees, blind tees, cross tees, and tap tees are all readily available. Snap elbows for single wall HPDE pipe make for easy, more efficient drainage installation. A full line of single wall snap wyes makes any pipe joint possible. Snap on end caps are available in sizes 2”-15”. Split end caps are available for 18” and 24” single wall pipe.